Two things prompted me to write this. One is that this past weekend marked the 50th anniversary of the founding of the National Farm Workers Association in California. That association was later to become the United Farm Workers of America, led by the iconic Cesar Chavez. You’d think that the date would have been celebrated in Latino/Chicano circles with pride, noise and hoopla. But if not for a stumble upon an article in TIME magazine, I wouldn’t have been the wiser. But I wanted to talk to her about a different topic altogether. Huerta is, by all accounts, the quintessential Latino organizer. Her history with the United Farm Workers speaks volumes on this account. And I’ve recently been asked for advice on what to tell people who aren’t committed voters to get them to register and vote. Most, if not all, NewsTaco readers are engaged, plugged-in, registered Latino voters, so a voter registration drive on our site is preaching the obvious. What our readers have been asking for are tips to get people engaged, examples of a pitch that works with disengaged Latinos. 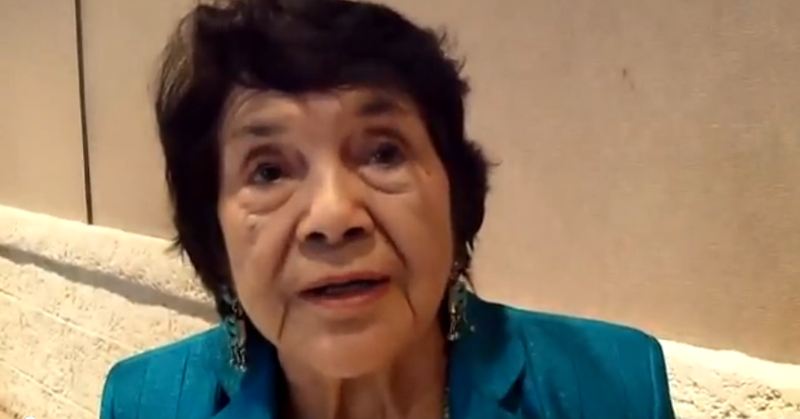 Who better, I thought, than the veteran organizer Dolores Huerta to give us her take on what to tell Latinos about why they should vote. Word. Now get at it!